I am not a professional film critic and am not on the website Rotten Tomatoes. Recently the website has come under attack as well as critics in general, and I would like to explain what the site does and how criticism works and should be used by the average consumer. Over the Memorial Day weekend 2 films were released, Pirates of the Caribbean: Dead Men Tell No Tales and Baywatch. Both were expected to do well but were released to underwhelming reviews and Pirates 5 did ok while Baywatch bombed. This caused star Dwayne ‘The Rock’ Johnson to tweet that the movie was “made for fans not critics” and that “critics had their venom and knives ready but Fans LOVE the movie”. I haven’t seen Baywatch so can’t speak for that film but let’s talk about this idea of critics vs fans. First of all, critics today come in lots of different styles and formats. Gone are the days when print media and formal articles/scholarship were the only way to be a recognized critic. To be a critic on rotten tomatoes you must be from a nationally published news-outlet or be a youtuber with over 20,000 subscribers and a certain degree of professionalism and consistency. Even with these rules you have everything from a review on Nerdist.com to something in the Wall Street Journal. Obviously these critics will have different perspectives and audiences, but Rotten Tomatoes doesn’t care about that. They take all these different reviews for all these audiences and merely look at positive or negative. So if the Nerdist gave Movie A a 5/5 and Wall Street Journal gave it a 0/5 their scores together would be a 2.5/5. Do this with 500 critics and you have your fresh or rotten score. Where things get a little murky in the algorithm is when you have a bunch of people giving 2s and 3s to a film. I think most of us would agree the difference between a 2/5 and a 3/5 isn’t that much. However, let’s just say a movie gets 400 reviews at 3/5 it could be a 90% on the algorithm despite most not being super high on it. It is the same for a movie with a 20% that has a ton of 2.5s or 2s. It seems like an awful movie but in reality it’s kind of a mixed bag. That’s where you have to look at the average rating on Rotten Tomatoes and actually read some of the reviews. I recommend using Rotten Tomatoes as a tool but not making it the complete say in your decision making process. For example, if a review for a comic book film is reviewed highly by a comic book website like Heroic Hollywood then maybe give it a chance? Maybe you are in the percentage that will like the film and that it is made for? Most romantic comedies end up with a low percentage score but I like a good chunk of them. I also recommend finding critics that you like and that you can turn to on a regular basis. 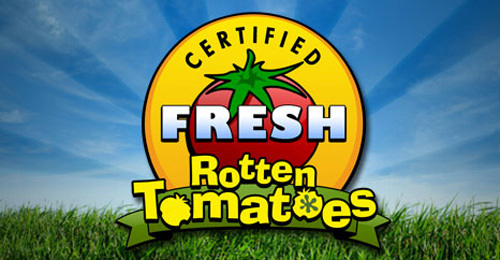 Rotten Tomatoes is an aggregator and aggregates are helpful in broad decision making and trends. We can know a majority of critics liked something or didn’t. That’s it and then you decide for yourself what you like and what you are going to see. Rotten Tomatoes gives no scores itself. It writes no reviews itself. It just gives you a resource to help you make decisions. It should not make the decision for you. But let’s get back to this idea of critics as the enemy of film. The idea Dwayne Johnson suggested that a movie is made for the fans and not critics is problematic on many levels. First of all, you don’t decide to spend your life viewing films if you aren’t a fan of cinema. And for every negative review from any critic worth their salts in any genre you can find positive reviews for films they like. So to say that critics in their ivory towers (again we talked about the diversity of critics these days) are looking down on certain films just isn’t true. Critics love base R rated comedies when they are done well. They like horror movies when done well. They like dopey action movies when done well. Look at Wonder Woman. For the last few years some have claimed critics had it out for DC films. Not so much. They just didn’t like the movies. Now that DC has released a movie they like it surprise has good reviews! It’s as simple as that. Critics are not out to destroy any movie. They like movies and want them to succeed. All that I expect out of a critic is that he or she be honest with their views. That they aren’t saying things or engaging in hyperbole just to get hits and views and I think you can only know this by following someone for a little while or reading/watching a number of their reviews. If they are super click baity you will realize soon enough. I disagree with a majority of critics sometimes (like I said I have a tolerance for romcom cliches more than most). Just recently I liked Smurfs: the Lost Village and it has a 38% on Rotten Tomatoes. All that means is I’m part of 38% of critics that liked it. There’s lots of other parts of my life where I am in much smaller minorities than that (my religion to begin with…)! For instance, I bet the number of people that like to open water swim is less than 38% and yet that doesn’t stop me from enjoying it to my hearts content. All critics are trying to do is provide a resource to help you spend your hard earned money wisely and maybe share their love of film every now and then. They aren’t the enemy. They don’t hate you or the thing that you love. Their opinions are just that their opinions. You can go right on ahead loving whatever it is you love. They are trying to help the fans not create this adversarial relationship between them and the fans. You can make an argument that Rotten Tomatoes forces a dichotomy on a film- so you either love something or hate. It’s rotten or not. It’s a valid point but that’s where you have to be a grown up and recognize it is an algorithm and the actual reviews are usually more nuanced than ‘I HATE THIS MOVIE’ (most critics worth your time save such vitriol for when it really counts). It kind of annoys me when people like Dwayne Johnson float this idea that critics are ruining movies because it obfuscates the true one to blame. Critics don’t make the movies. It’s the studios which should MAKE BETTER MOVIES! I did a whole podcast on this with my friend David Gerlach. Blockbusters have been pretty disappointing over the last 2 years and that’s coming from the perspective of an amateur critic and fan. I can’t tell you how many supposed epic movies I’ve walked away feeling hollow and empty. This is not the fault of critics! Anyway, I hope this post has been helpful in talking about the way Rotten Tomatoes works and how criticism should be used effectively. I grew up reading and watching criticism and I love it. Even if I completely disagree with the person if they are a good writer/speaker I love it. Their opinion isn’t an attack on me but a chance to see the world from another point of view. Find some critics that you like and use Rotten Tomatoes in the right way. I’m grateful we have critics who can help be a quality balance to the decisions studios make that would otherwise be based solely on the box office. I had an interesting conversation with a friend on twitter this morning. He was upset about an article entitled “Why Guardians of the Galaxy is Overrated- Especially When Compared to Farscape“. In his mind the use of the term overrated was polarizing and an attack on all those that like Guardians of the Galaxy. That it cuts off conversation and tells people they are wrong. 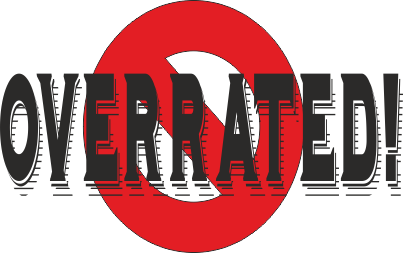 I don’t disagree that the word overrated is overused (it’s an overrated word you might say!). However, I think there is a much worse problem going on. If you look at the article in question she spends 16 paragraphs (about 4 pages) detailing the issues she has with Guardians and why this show Farscape does the same thing better. I’ve never heard of Farscape so I found it quite interesting. I don’t find it threatening in the least that she isn’t in love with a movie I enjoy- Guardians of the Galaxy. That’s what makes life great is people with different opinions and perspectives. It would be one thing if she just trolled and said “Guardians is overrated” but she detailed quite thoroughly why she felt that way. What more can you ask for? My biggest concern is that so often people look at the headline or title of an article and have an immediate visceral reaction. “This person doesn’t like Guardians. How dare they!” and then they shut off and don’t read/watch what is being said by the contributor. As a blogger it can be incredibly frustrating to work hard on an piece and have someone focus on one tiny little thing that they disagree with. Like the other day on my Boss Baby review I mentioned I felt it was the 3rd worst Dreamworks movie after Home and Shark Tale. Despite spending nearly 10 minutes explaining my issues with the film someone in the comments just focused on the one passing mention I made about Home. It was very frustrating. This leads to another problem. It comes down to an issue of nomenclature. As a society we assign certain words to fit situations, people, emotions and everything else. These words can change over time. For example, on airplanes people flying used to be called passengers and now the accepted word is customers. Someone may feel passengers is a more appropriate word but it really doesn’t matter because society has deemed otherwise. It’s the same way with a word like overrated. There is a human experience of watching/reading something that most people seem to love and not loving it. That happens and will continue to happen from now until the end of time. So how do we discuss or talk about that experience? I’m sorry but the nomenclature or word society has chosen is overrated. I have yet to hear another option that is as concise or as instantly understandable for this type of discussion. It’s also important to understand this is mostly a discussion of titles and headlines. For example, in the article in question she only uses the word overrated once. The rest of the piece is her explaining why she feels the way she feels. Nevertheless, when coming up with a title for the article it is hard to debate the most universally accepted word to describe what she is saying is overrated. I mean what is she going to say “Why I Don’t Like Guardians of the Galaxy as Much as Most People and Here are the Reasons why Farscape is Better”? I mean what she already has is unwieldy but this is even worse. Recently I did a podcast with a friend of mine on Disney movies that we like or don’t like as much as most. I don’t know what else we could have called this podcast but Over and Underrated Disney Films? If any of you have some great way to say this then please let me know. It is the responsibility of the listener to then absorb our arguments for why we feel the way we do and see if they agree or disagree. Again, I don’t know any other way to say that? The fact is we have to accept the nomenclature society has chosen for certain experiences. Overrated is the word we have chosen to describe having a contrary opinion than the majority. As a content producer I do not see any way to avoid using it or any other word to use. That’s just the way words and language work. We don’t talk like they did in Regency novels even if it is more technically correct. Why? It’s not the socially accepted way to talk. Certain words move in and out of fashion and if you are going to publish media you have to use the words people will understand. It’s just the way it is. So, in conclusion, there are two problems here. First, people get too caught up in a headline and don’t actually read many opinion pieces. Second, society has yet to come up with a better word to describe many situations and until they do we are stuck with the overrated ones.